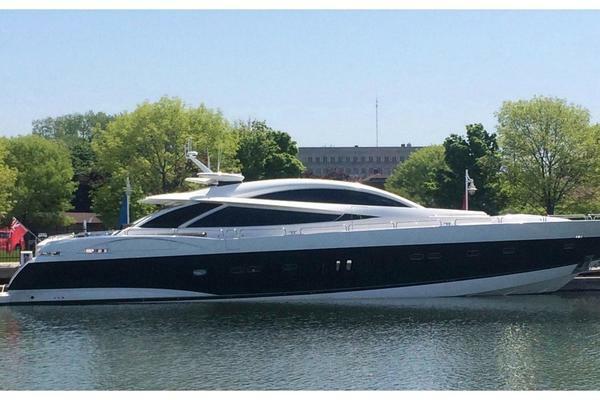 United Yacht Sales New Jersey would love to guide you through a personal showing of this 97' Bilgin Custom 2007. 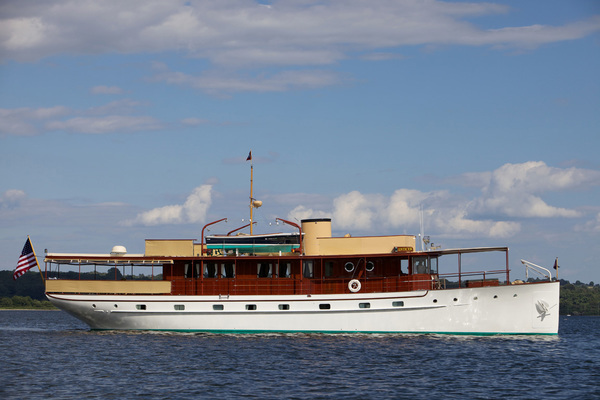 This yacht for sale is located in Thailand and priced at $2,800,000. For a showing please contact us by filling out the form on this page and we will get back to you shortly! Luxury motor yacht MIA KAI’s stylish mahogany wood interior is uncluttered with comfortable leather sofas going forward to a salon dining table and a well-appointed bar. For berthing she offers luxurious accommodation for 8 guests, a full beam master stateroom with large windows, a double-bed VIP and 2 twin cabins, each equipped with air-conditioning, TV and private ensuite bathroom. The flybridge and aft deck are expansive with wrap around lounge and dining areas, a Jacuzzi, tender w/crane and full flybridge helm. Communication, Navigation, & Entertainment Systems Furuno Navtex Furuno VHF Radio Telephone (main station) Furuno Univeral AIS Transponder Raymarine HD Digital 4kw Radar scanner, 48” Raymarine Universal Display x 3 (2016) Raymarine VHF Radio Telephone Raymarine Digital Depth Sounder Raymarine SmartPilot (autopilot) Raymarine Autopilot Controller Raymarine Raystar 125 GPS Receiver Thrane & Thrane handheld VHF radio (x2) Unicom Handheld VHF radio (x5) Samyung EPIRB Samyung SART , Installed APR2013 INMARSAT SATPHONE KVH TracVision G-6 Entertainment: AUDIO EQUIPMENT: ONKYO TX-NR646 in Main Salon with surround sound and zone 2 to rear deck, Bluetooth control from any phone. Subwoofer. Salon 45” Television: Blue-Ray Disc Player Tracvision television Flybridge Stereo with bluetooth All Cabins have BOSE / SONY Bluetooth speakers for guests cell phone connections.